Fits all types of installations: right or Left mount, Inswing, Outswing, Single & double doors. 1 year from the date of purchase provided that the screen door has not been removed and re-installed in a different location. A hard copy of your proof of purchase is required. Screen mesh complete with buttons are excluded from the warranty coverage. Warranty will not apply if the product has been misused, abused or altered in any way. This warranty excludes breakage, lack of maintenance and normal wear and tear. Labour is not included in this warranty. Proof of defect may be required in the form of a picture sent via email or fax. Items covered under warranty will be supplied free of charge. Shipping and handling charges will apply to all warranty transactions. DIY solid vinyl doors have unique characteristics that sustain the classic appearance of yesteryear with low maintenance materials of today. 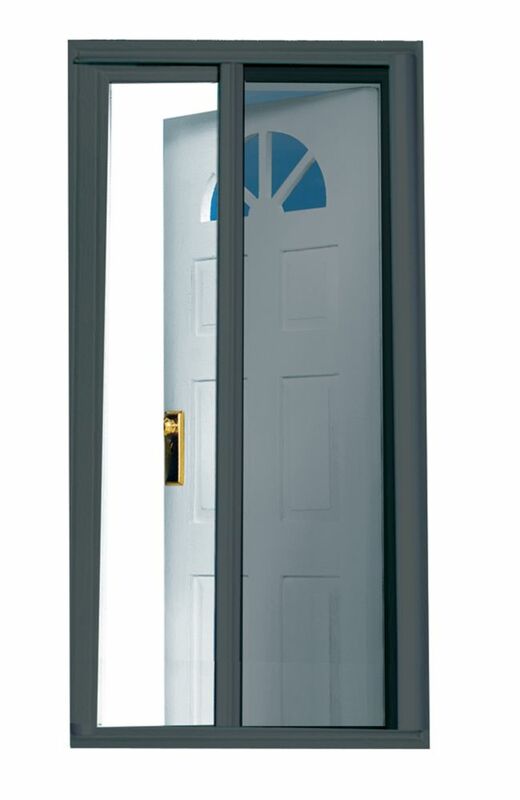 The advantage to you is a solid screen door that is durable yet retains the workability of wood. Unfinished Wood T-bar Screen Door lets fresh air in while keeping bugs out. It is made for residential use and offers a durable 1inch. thickness in natural white pine. The frame is fitted with a fibreglass screen and can be finished to your preference. Accent your home with DIY wood screen doors. Choose from a collection of nostalgic designs that highlight traditional American architecture. Superior craftsmanship combined with quality paint or stain is sure to provide years of fresh service. The is our highest quality EMCO ventilating door with retractable insect screen and a beautiful raised panel design. The door vents from the top with 5 venting positions and also offers added security with a keyed deadbolt that anchors into the frame. 97.5-inch Charcoal Retractable Screen Door (Doors 95-inches to 96.5-inches) is rated 1.0 out of 5 by 1. Rated 1 out of 5 by justin96 from Absolute Garbage If there was a score lower than 1 that's what this product deserves. Do not waste your money. We installed this step for step and it does not stay in the track or retract. The manufacture has ignored emails about returns and has been no help. This product shouldn't even by offered by Home Depot. Looks like we're out $200 and ruined our brand new briclmould in the process. Do not even think about buying this.